Have you noticed that so many of the great managers – and leaders – are really odd? 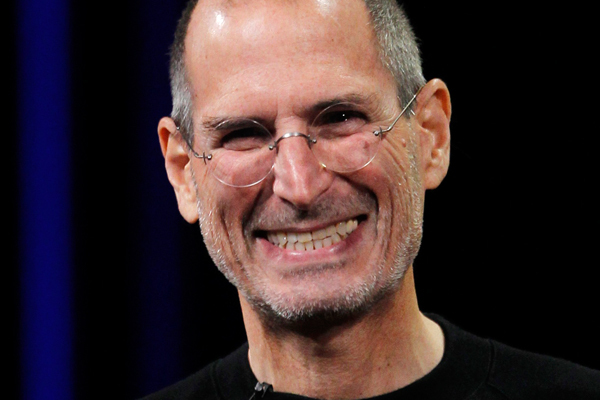 This can be seen not only in business with enigmatic leaders like Apple’s Steve Jobs (described by Bill Gates as “fundamentally odd”, but also in some of the more eccentric characters we see in sport – take for example football managers like José Mourinho, Alex Ferguson and Brian Clough. While there are indeed managers like Manchester United’s David Moyes, who are .. average, reasonable, uninspired: just the sort of manager that might make the grade on paper in a recruitment process, the great leadership is seen from managers like Mourinho and Ferguson, neither of whom would have stood much chance of making it through to the interview stage! They weren’t even great football players! But is it enough just to be odd? Unlikely… Perhaps there is good odd (Mourinho) and bad odd (take your pick of the world’s despots). 1. They are clever – especially with people. They know whose buttons to press – and when! Who to kick and who to hug! They know the game – they know their business inside out. 2. They have more than just one style – they hold their principles constant but adapt their own style to the situation in hand. Mourinho famously let his kit man give the motivational speech to his players last week (in indecipherable “Scottish”, too!). Ferguson could tell his Beckhams from his Ronaldos, his Van Persies from his Rooneys – and found the right words for each. st standards. They are unrelenting in their quest for success. Their self-belief is unshakable. Failures are used as opportunities to learn. Success is inevitable – the only question is when. So perhaps there is something to be learned from seeing past what might seem like strange personalities and assessing our potential leaders instead for intelligence, a flexibility in style and an unshakable self-belief and ambition. It may be that these characteristics are more important to success as a leader that meeting any definition of “normal”. Dermot Duff is Programme Director of the ManagementWorks IMI Diploma in Management and the ManagementWorks IMI Diploma in Strategy & Innovation – programmes specifically aimed at developing management and strategic capability in SMEs. His expertise is in the area of SMEs, project management, manufacturing and supply chain management and he is the author of Managing Professionals and Other Smart People. His work focuses on developing practical implementable solutions founded on sound theory. If you are interested in honing your skills as a leader in your organisation speak to us about the IMI Diploma in Leadership starting this Spring. The programme is aimed at dramatically enhancing leadership skills, awareness, impact and judgement. To know more check out the brochure or watch this clip.